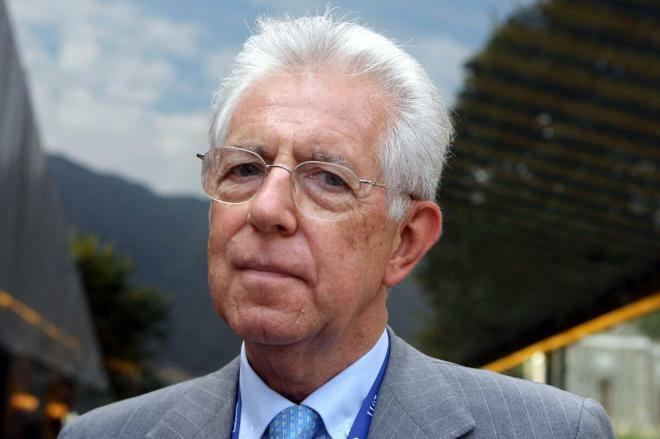 Mario Monti, Knight Grand Cross OMRI (born 19 March 1943) is an Italian economist who served as the Prime Minister of Italy from 2011 to 2013, leading a government of technocrats in the wake of the Italian debt crisis.Monti served as a European Commissioner from 1995 to 2004, with responsibility for the Internal Market, Services, Customs and Taxation from 1995 to 1999 and for Competition from 1999 to 2004. Monti has also been Rector and President of Bocconi University in Milan for many years. On 12 November 2011, in the midst of the European sovereign debt crisis, Monti was invited by President Giorgio Napolitano to form a new technocratic government following the resignation of Silvio Berlusconi. Monti was sworn in as Prime Minister on 16 November 2011, just a week after having been appointed a Senator for Life by President Napolitano, and initially became Minister of Economy and Finances as well, giving that portfolio up the following July. From 16 May 2013 to 17 October 2013 Monti was the President of Civic Choice, a centrist political party.